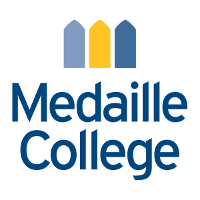 The Department of Science, Mathematics, and Technology at Medaille College invites applications for a Tenure-track, Assistant Professor in Biology. This position is scheduled to begin in August 2019.To be considered, applicants must hold a doctorate in Biological Sciences or associated major. The duties include a 24-hour teaching load in addition to advising Biology majors and engagement in scholarly activities. Anticipated teaching responsibilities include introductory biology courses (majors and non-majors), comparative anatomy & physiology, botany, genetics, microbiology, cell biology and nutrition. The ability and willingness to direct student-driven research is desired. Successful candidates will also demonstrate a commitment to excellence in college teaching. Program development experience is preferred, but not required. Applications will be considered on a continuing basis until the position is filled. For questions regarding the position contact Dr. Vochita Mihai at vm72@medaille.edu. A letter of application including teaching philosophy, curriculum vitae, graduate transcripts, and three recent letters of recommendation should be electronically submitted to Barbara Bilotta, Director of Human Resources, Medaille College, 18 Agassiz Circle, Buffalo, NY 14214. Review of applications will continue until position is filled. No phone calls please.